Every weekday after 1:18 most students are walking to their final class of the day, but sophomore Sofie Treibitz is leaving school to go to dance rehearsal at her studio in Washington D.C.
To compensate for the period she misses, Treibitz is enrolled in online P.E. and dances five days a week for a maximum of five and a half hours per day. Treibitz started ballet when she was 2. She has continued ballet and eventually expanded into contemporary over the years. 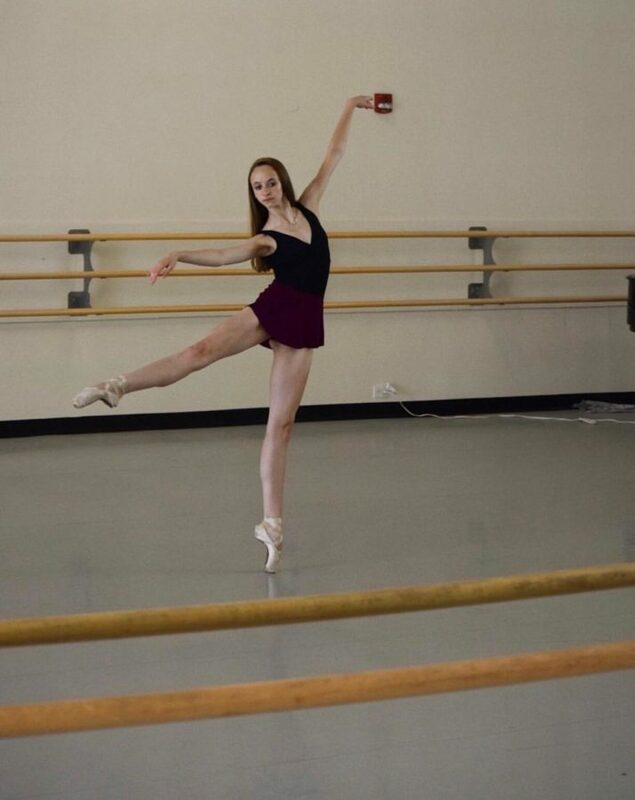 “I chose [to continue] ballet because I really like both the structure and the artistic side to it, along with the challenges,” Treibitz said. Where she dances often changes to fit her needs, and in the 2018 season, Treibitz started at Séber Method Academy in DC. Last year she danced at Washington School of Ballet. From all the years of practice Triebitz has reached a high level of dance skill. Ballet is an unusual sport because there is no team, it is individuals learning together. “It isn’t exactly a team because you really aren’t together, it is a very individualized thing,” Treibitz said. Treibitz spends around 20 hours with the same girls improving together, she has established a close bond with them. Treibitz takes advanced ballet classes that require lengthy hours of practice so, balancing school and ballet is difficult for Treibitz. She takes three honors classes, one AP class, as well as Spanish 3 at McLean. “It is very hard for me to balance homework with dance, even though I leave early I go straight to dance and get back late with work to do,” Treibitz said. Treibitz needs to have time management to handle her rigorous schedule everyday. “I can tell Sofie is under a bit a stress once in a while; however ,I know she works hard to balance dance and life,” Kelly Treibitz, Treibitz’s mom said. Treibitz’s mom supports her decision to continue dance throughout high school. Treibitz has many challenges since she have performances, seemingly endless homework and projects, and still do well in school. Academics are important to Treibitz and she works hard to achieve good grades. Treibitz has an unclear path for the future, although she wants to continue to dance and go to college. “I would love to go to a company to dance professionally, while doing college on the side,” Treibitz said. Although the struggle may seem difficult, Treibitz works hard and enjoys ballet everyday. “I enjoy the artistic expression through movement and also just dance itself has an element of being active while also having an artistic side to it,” Treibitz said.